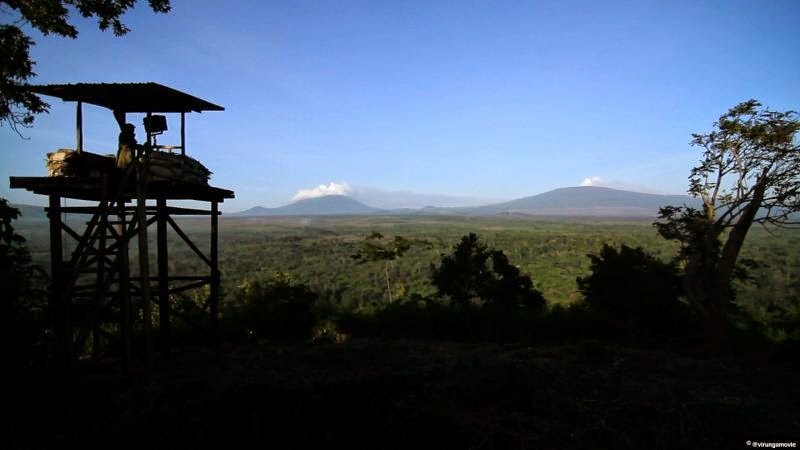 A documentary out today on Netflix depicts the challenges in protecting in Africa’s oldest national park Virunga in the Democratic Republic of Congo. The film showcases that protecting the park goes well beyond being an environmental issue with war and conflicts, corruption, fossil fuel interests at the heart of the challenges in protecting the park. The film centers around Belgian Emmanuel de Merode who runs the national park and the challenges he faces in preventing British oil company Soco International drilling for oil in the park. A French journalist starts undercover operations and uncover the company’s unethical methods in bringing about oil operations involving bribing local people and rebel groups forcing death threats against de Merode. At the London premiere on Tuesday evening de Merode and the films producers said that they wanted people who watched to film to spread the word about Soco International’s operations and speak out about them. And today the films producers will release a document with companies who invests in Soco International hoping it would encourage people to put pressure on those companies asking them to pull their investments. Virunga premieres on Netflix Friday 21:00 GMT.